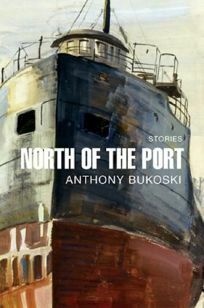 In this collection of 12 stories drawn from the experience of post-World War II Polish refugees in the U.S., Bukoski continues the themes and uses the style that characterizes previous work. Time is divided between the plight of displaced Polesin Plaquemine, Louisiana sugar cane plantations and their later settlement in Superior, Wisconsin. The Iwanowski family occupies most of the stories but family relations aren't consistent. Each story centers on some singular, resonating event, but its significance is usually obscured. A few pieces stand alone nicely: ""A Walk Down Lonely Street,"" which focuses on a first sexual encounter, and ""The Wand of Youth"" that deals with the devastations of polio, are both moving. But the star of the collection is the consistent narrative voice that offers an obtuse style as he works through the tensions of generational conflict. Most of the stories never quite gel and seem to be more about style and craft than about memorable characters or situations.